Back by popular demand, the 2017 November Notes challenge is here! Each day, during the month of November, write a poem inspired by that day’s corresponding song. Write what the sound makes you feel. How the lyrics move you. Anything that awakens your muse. I’ve teamed up with the lovely Máh of @mah.writes and Rosema of @areadingwriter for this challenge, so be sure to follow them if you aren’t already. 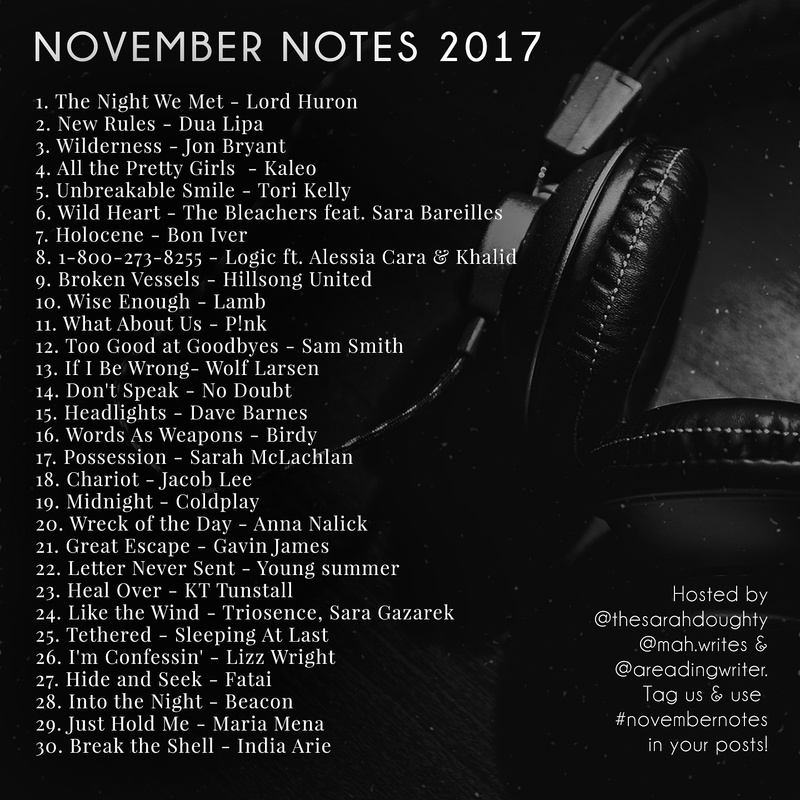 Use the #NovemberNotes tag and ping back to this post to make sure I don’t miss any of your pieces! Have fun! To listen to the songs on Spotify, click here.